Promotional Caps are among the best ways to improve your brand and market reach in the industry. For businesses and organisations that have tight budget on marketing, then using promo caps is a good way to channel your product, services, or cause to the people. There are actually hundreds of promotional products that can be used in advertising campaigns. Selecting the best item that suits your marketing needs is the initial step to securing successful promotions. While it is a common fact that caps are sold at reasonable price, it is still important to consider the following factors when buying caps for your marketing efforts. 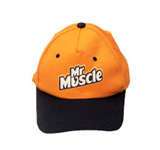 First off, you must consider only good quality materials when purchasing promotional headgear such as caps. Choose a supplier that only offers durable and excellent materials when buying Promotional Caps. If you buy cheap caps, this will most likely create a negative impression on your customers. Opting for quality caps will increase your brand image and promote positive recognition about your company. Cheap materials are typically sold at lower prices. However, you will not achieve your marketing objectives when you choose caps with poor quality. Now, when you choose promotional caps as giveaways, the next thing you will have to make sure to meet are the printing requirements. Distributing these promotional caps will have to include the attractiveness of the design and print. Most promotional products supplier like Exalon Promotion would offer their assistance for design conceptualising and cap printing. There are different types of printing options for promotional caps. 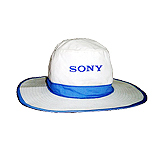 The printing methods used for Promotional Caps include embroidery, embossed, virtual proof, as well as virtual samples. The printing selection will then have to depend on the cap's material within your budget range.